Connected VS Electrified: Will PATEO Be the CATL of the Connected Car Industry? To Ken Ying, connection and intelligentization represent greater opportunities than electrification. Connected, Autonomous, Shared and Electric, collectively referred to as CASE, represent the four directions for the massive changes currently taking place in the automotive industry. The far-from-mature electrification has already facilitated the emergence of giant suppliers like CATL, then in the trends of connected cars, autonomous driving and sharing that are spreading at a slightly slower pace, who will become the next CATL? In the field of connected cars, PATEO starts to emerge. Before and after the Auto China 2018, PATEO had made frequent appearances, either signing cooperation agreement with OEM or OEM launching intelligent IVI system jointly developed with PATEO. On 22 Apr., PATEO and Jaguar Land Rover signed an agreement in Beijing and established strategic partnership. Both parties will be committed to jointly exploring the innovations in telematics technologies and business models, in a bid to realize smart future mobility by making use of the resource integration services enabled by PATEO telematics and cloud ecosystem, encompassing PATEO ecosystem services and the abundant application scenarios, so as to explore the overall optimization of user experience in telematics services, covering the areas of intelligent speech interaction, In-Car Entertainment (ICE) / In-Vehicle Infotainment (IVI), intelligent navigation, social services, mobile payment, security application and account system. On the 23rd, Dongfeng Fengshen WindLink 3.0, an AI-empowered IVI system jointly created by Dongfeng Group, Baidu DuerOS and PATEO, made its debut. WindLink 3.0 is said to be equipped with abundant third-party ecosystems, with Baidu DuerOS & PATEO telematics cloud service platform integrated and a complete set of capabilities including an account system, an OS, a map service, a cloud service and an AI portal built, and is able to understand the complicated human language, meaning that users can converse with it the same way they do with a human; what’s more, it is also an IVI system that has the ability of deep learning — the more you drive, the smarter and the more thoughtful & considerate the car will be. On the 25th, a main sedan model of BJEV, EU5, was launched. The new car is equipped with an intelligent IVI jointly developed by PATEO and Baidu DuerOS, and therefore is able to realize functions like wakeup-free operations in all scenarios and multi-turn dialogues, and the occupant only needs to say it out, operations like A/C control, navigation, inquiry, music selection and WeChat message sending/receiving can be done. Furthermore, a highlight of the Hongqi brand during its first independent participation in the Automotive Exhibition this time – the conceptual smart cockpit, is also jointly created by Hongqi and PATEO, and able to offer AI-based data visualization / intelligent entertainment / intelligent information / platinum flight / personal butler / intelligent IoT / green rescue channel / secure cloud services. Founded in 2009, PATEO is the earliest connected car enterprise in China. In the course of development, it once stepped into vehicle manufacturing as a new power, but later abandoned complete vehicle and turned focus to connected car, and has gradually evolved into an intelligent vehicle & connected car enterprise that owns the largest capital structure & business scale and serves the most automotive clients in the China market. Under the brand slogan of “More of an Expert in Internet than Automakers, More of a Specialist in Automobile than Internet Firms”, PATEO is positioned as a connector between the internet and the automobile industries to empower traditional auto groups. Up to now, PATEO has been focusing on the planning and overall arrangement for 17 key areas at the core of connected car and accumulated nearly 1,050 pieces of intellectual property, far outnumbering others in this field. In the first phase from 2009 to 2012: while its main competitors were focusing on the safety-and-security-oriented onboard system, PATEO chose to turn to telematics with entertainment as the breakthrough point. In the second phase starting from 2013: while the mainstream industry trends shifted to aftermarket and mobile phone, PATEO opted for pre-installed IVI. Firstly, it ascertained that aftermarket was not in PATEO DNA, thus was more assured about its focus on the pre-installation market; secondly, it realized that PATEO value lies in helping transform all vehicles into intelligent ones. Actually PATEO had laid a foundation and enjoyed advantages in this regard: As early as 2010, they developed inkaNet for SAIC, marking the initiation of the connected car era; afterwards, PATEO launched the world’s first 3G car on the internet, and through collaboration with Xiamen AMAP, it introduced an onboard navigation system that actively avoids traffic jams, which was one month earlier than mobile phone map; later, it launched an onboard voice system which was nine months earlier than Apple Siri; in 2015, the Qinggan I.P.D.A, an intelligent IVI independently developed by PATEO, was indeed an epoch-making product. In the fourth phase starting from 2017: the overall picture of the industry became clear, or at least PATEO was clear about what to do and what not to do on each layer of connected car. “To form an ecosystem, Apple needs good hardware, plus OS, Apple ID, Siri and various Apps. If vehicles manufactured by OEMs are compared to Apple, I will help you create a full set of iPhone system for IVI, to turn these vehicles into intelligent ones,” said Ken. In the connected car field, PATEO plays a role equivalent to the conventional Tier 1 supplier — collaborating with downstream OEMs for joint R&D, and joining hands with the many upstream internet & technology firms for function & service integration. In this position, an enterprise is allowed a wide selection and a high degree of freedom to choose what to do and what not to do, depending on its self-positioning. After retreating from the complete vehicle area, PATEO seemed to have learned more about “Danshari” (refusal, disposal and separation). Such positioning necessitates working in cooperation with numerous partners with a due division of labor: In the telematics field of autonomous driving, PATEO has joined Project Apollo of Baidu and become one of the first members of the Apollo Ecosystem Partnership Alliance, in which PATEO’s focus is to upload data to the cloud. Some of the partnerships that PATEO has established is almost a mission impossible for other business organizations, for example, accessing Umetrip flight data for flight inquiry. “Due to security reasons, we have embedded a micro OS in our OS, which is on their server instead of ours, to access all the flight data. It is the only service that is not on our server, but we are their exclusive partner – the data is open to no one else,” said Ken with great pride. 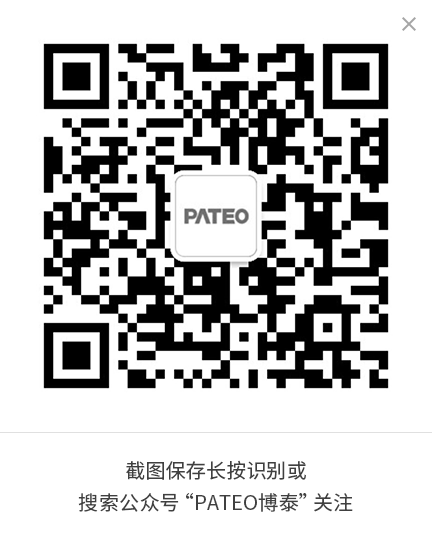 As for cooperation in other fields, PATEO explored in depth with partners, in an effort to create differentiated services and improve user experience. At the launch event of WindLink 3.0 on Apr. 23, a quick query with multiple conditions set via voice was demonstrated on site, going like “Xiaodu, Xiaodu, help me book a room in a 5-star hotel near Sanyuanqiao, equipped with a swimming pool and a 24h gym, and priced no higher than 3,000 yuan”. As a telematics platform, PATEO’s value is highlighted through the fact that it doesn’t offer simple integration any more, i.e. providing navigation and search services through the corresponding suppliers, but rather has managed to get the data resources of these partners all connected, thus able to provide answers to user’s multidimensional and complex questions in a quick manner. One typical example of vehicle owner’s daily application scenario might be “find an authentic Chongqing hot pot restaurant within 5km with parking and Wi-Fi, but no waiting in line”. These conditions require data from different partners, e.g. restaurant data from dianping.com, parking data from ETPC and location data from Baidu Maps. What PATEO does is to access the data of these enterprises and figure out the best answers for users. NXP, Huawei, UAES, Nuance, Baidu DuerOS, Baidu Apollo, Baidu Cloud, Baidu L3, Baidu Maps, Suning Finance, Suning Sharing, Suning IoT and TV & Mobile Phone Ecosystem, Bosch, China Telecom, Ctrip, TravelSky, IQIYI, ETCP, Umetrip, Ximalaya… The team of PATEO partners is keeping growing. With regard to the downstream OEMs, up to now there are dozens of vehicle models under approximately 20 plus brands for sale that are using PATEO products, technologies or services. If the models that are now being developed under contract are counted in, the total number will reach more than 100, covering a range of auto companies or brands such as BJEV, JLR, SAIC, Dongfeng, Bentley, Porsche and Lamborghini. On these vehicle models, the application of PATEO products varies. 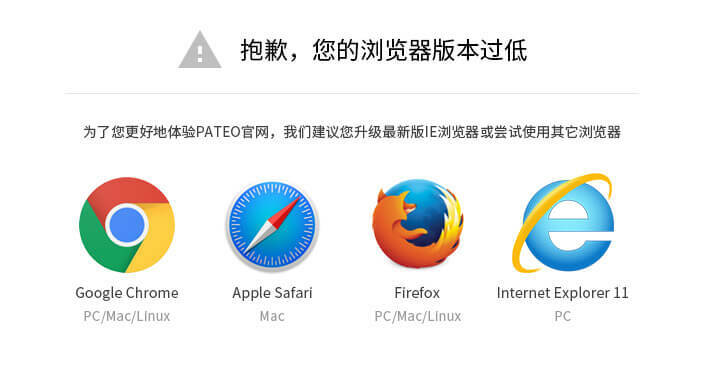 Previously SAIC Roewe 360 and Borgward BX5 have employed both PATEO IVI and onboard system, while some models choose to employ either IVI or system; and some models, though use neither PATEO IVI nor onboard system, might cooperate with PATEO in cloud, user operation and other service fields. Similar to the upstream, no matter the level of cooperation, PATEO’s OEM client base is also continually expanding. Third-party data also stands with Ken — Statistics in J.D. Power Report 2018 indicated that 91% of Chinese consumers prefer intelligent connected vehicle, among whom 51% of respondents are willing to pay additional 20% of the total payment for it, while 39% of them are willing to spend additional 10%. So, will PATEO be the next CATL?